I own a generation 1 Chevy Volt and I plug in using a 50 foot extension cord going to a dedicated outlet in my kitchen. I just had a 240v line put in by an electrician so I can charge in 4 hours instead of 9. And I get to say goodbye to the 50 Ft. extension cord. Tesla uses a single port supporting using a slender cable and charge connector. The mobile charge connector comes with adapters for 120 volt 12 amp charging and 240 volt 50 amp charging. It also has an adapter for the J1772 connector used by Gm, BMW Volkswagen, Nissan, Ford and others. The Nissan Leaf, Chevy Bolt, Volt, Volkswagen and BMW I3, use the J1772 connector. The Ford C Max Energi and Fusion Energi also use this connector. You can purchase an adapter for the Volt that works on the Tesla charge stations. Who charges where, and how? A vast majority of EV owners charge their cars at home in their garage or on the driveway. I charge on the driveway because I moved from a large home to a small home. We didn't purge enough, so we brought our stuff along and it's in my garage. Still trying to purge. Many owners are fortunate and are able to charge at work. This is important for owners of plug in Hybrids like the Prius Prime. With the Chevy Volt having a range of 53 miles down to a Ford C Max Energi with a range of 19 miles, charging at work allows you the ability to drive on electric without having to use gas. Where are the EV charging stations? When I travel and hour and 10 minutes to my daughters school it costs 5.00 a day to park on campus. 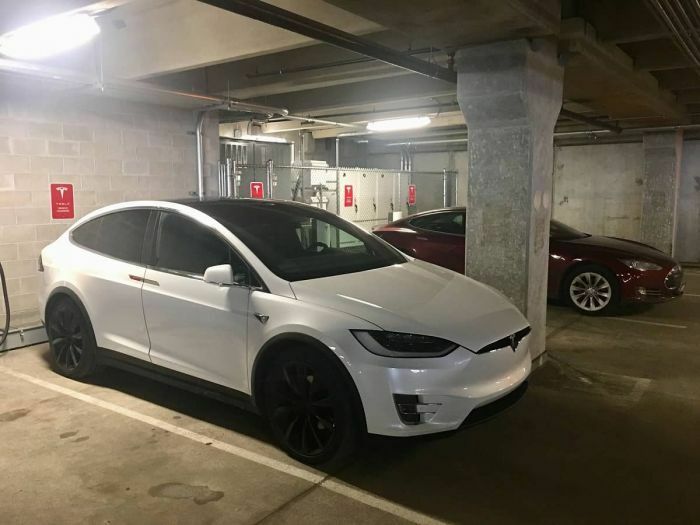 If I park in the garage I can use the ChargePoint station. It costs 1 dollar per hour for the first 4 hours. Doing this helps me avoid paying the 5.00 daily fee. Much appreciated. I usually hang around for an hour or so and I can add back 16-20 miles on my battery. There is a free charging station on the tollway at the Oasis, but it uses the CHadeMo connector and my Volt won't work with that standard. Unfortunately ICE powered cars park there and I couldn't use it if I wanted to. The other thing is I'm only there to get a Diet Coke so it's useless. I was impressed to find a multiple charging station setup for Teslas, at a Mariano's grocery store in Chicago. Of course there were two beautiful Tesla's parked and charging. How do we navigate these different adapter standards? So I can't use the charger at the tollway oasis but I can use it at the mall. I appreciate the free stations and I like spending a dollar an hour at ChargePoint to get some miles on the battery. My Chevy dealer does not have a dedicated charge station in front of the dealership and they should. With Tesla using their adapter type and the rest of us using the ChadeMo or J1772 connector it's not so easy charging away from home. There are good apps and methods to locate where the charging stations are in your area. PlugShare is one. There is also Green Charge and Open Charge Map. For the vast majority of electric car owners charging at home is how we power our cars. Many charge at work. If you live in a condo you might be lucky and have a way to plug in. Many owners report their landlords are happy to accommodate. When I go to my sister's apartment in Chicago I'm out of luck. Trying to string a 100 foot extension cord from the lobby is impossible. Besides with all the people in the neighborhood walking their dogs the liability is not worth it. The time for having a single standard connector for me is now. In order for network charging to work we need to have one standard for charge stations. This is the Betamax VS. VHS situation. Who is going to win? If all manufacturers can come together and all agree on one standard connector then we all win. For all intents and purposes, the multiple protocol issue is over and CCS is the de Factor worldwide standard which virtually every automaker is using (except Tesla, Nissan and Mitsubishi) . Nissan was stupid not to switch to CCS this go-round and Tesla chargers are now hopelessly inferior to the twice as fast 350KW CCS chargers, which will be located at 1000 times more locations than Tesla's sparsely located chargers.. The problem is there are no 350kw ccs chargers in the world. The tesla is at least far ahead of ccs because there's a world wide network of high power chargers, and also teslas have adapters for all the major power standards (even chademo). How long until there is even 5 high power ccs chargers in the north america? I don't think there's a single one today, although porsche is working on a plan for their cars. Tesla does need competition to push them along. That would be comparative cars priced about the same or less, and rival charging networks to push them to up their game.